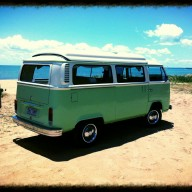 I've been searching for a Kombi for a long time and finally have my beautiful restored Portia. Love camping in style. I'd love to meet other members on the Fraser Coast and do some drives.